Easy Weeknight Black Bean Soup - a hearty, flavorful + surprisingly vegan black bean soup. Sweet, smoky and completely satisfying. Hi friends, Emily here! If we’ve not met, I blog over at The Pig & Quill, where I wax (sometimes not so) poetic about creative, seasonal eats inspired by my family, our home on the Northern California Coast and my mixed-heritage upbringing. Party-ready Jalapeno Monte Cristo Sliders. Plump, garlicky Hawaiian Shrimp Scampi inspired by North Shore’s famous shrimp trucks. Tamagoyaki Totoros that no kid can resist -- that kinda thing. 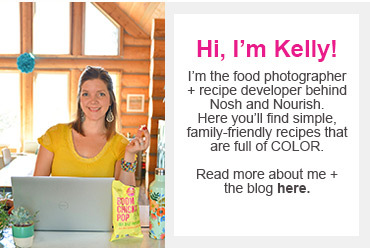 Food is far and away my greatest passion, and I’m so excited to be joining Kelly and the rest of #TeamNosh to bring my take on colorful, family-friendly eats to all of you! This Easy Weeknight Black Bean Soup was inspired by one of the first black bean soups I ever made, back when I was home from college for the holidays. I had not a care in the world but poring over cookbooks (Nigella was having a big, domestic goddess moment) and gleefully living out my own secret crush to the soundtrack of Usher’s "U Got it Bad." Life was indulgently easy, and this soup was a reflection of that: rich and sumptuous and fortified with the drippings of -- wait for it -- a Coca Cola-glazed ham. It was slow-cooked for hours, sweet and savory, with such depth of flavor. I remember dipping my spoon back into the pot over and over, drunk on the potent liquor of those smoky, syrupy beans, always checking the clock. And at the end of the day, we supped on a soup fit for the gods. It was so, so good. These days, I don’t have from sunup to sundown to slow-cook a pot of beans; nor do I have a holiday ham at the ready for weeknight cooking, so this Easy Weeknight Black Bean soup is a shortcut to that smoky, caramelized flavor in a super simple soup that comes together in little more than 30 mins. Oh, and it’s vegan, to boot! To replicate the savory depth of flavor and burnt-toffee sweetness of the original, this vegan black bean soup employs one of my very favorite fridge staples, white miso paste, and real-deal maple syrup. Coupled with nutty, browned veggies (give them a few extra minutes in the pot to develop a little color and you’ll be duly rewarded) and a plethora of pantry spices. It’s mega flavor payoff for minimal effort. Kelly whipped together a lunchbox version (kids love this soup too!). Hope you enjoy. 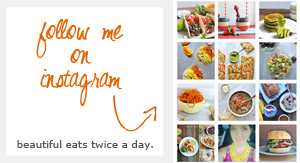 Be sure to tag us (@thepigandquill and @noshandnourish) if you make it! Halve red onion. Finely chop one half. Thinly slice the other half. Add thinly sliced red onion to a small bowl and add the juice of one lime. Toss and set aside or refrigerate for up to 3 days. Heat olive oil in a large pot or Dutch oven over medium heat. Add 2 T olive oil. Add chopped onion, carrots and celery. Season with 1/2 tsp salt and black pepper, to taste. Sauté until veggies are tender and beginning to brown, 10-15 mins, then add remaining spices (oregano, chili powder, cinnamon, cumin) and sauté another minute or so, until spices are fragrant. Add black beans, miso paste, water and maple syrup and stir to combine. Bring to a boil, cover, reduce heat to low and simmer for 10-15 mins. Remove half of the soup to a blender and blend until smooth. (Always be cautious when blending hot items - keep lid vented and blend in batches, if necessary.) Return blended soup to pot and stir to combine. Ladle soup into bowls and top with sour cream (if using), lime juice-marinated sliced onions, cilantro and lime. Enjoy!